Anyone who doubts that government spending at all levels is out of control should consider Mike Flynn of Breitbart's analysis of how government spending at the federal, state, and local levels compares to the world's major economies. The United States government spent a total of $3.5 trillion last year, equal to the gross national product of Germany. The fifty states spent a combined total of $1.1 trillion, the equal to Spain's Gross National Product. Local governments spent an additional $1.1 trillion. 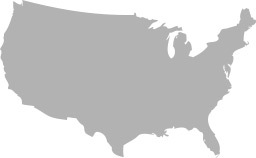 Together the federal, state and local governments comprised the third largest economy in the world, behind the US ($16 trillion) and China ($8 trillion) and just ahead of Japan ($5 trillion). Of course, this government spending is a drag on the real US economy, as economic growth and job creation are stymied by taxes, regulations, and the Federal Reserve's monetization of the national debt. One would think that with government spending at such a high level, and the failures of big government obvious to everyone, it would be simple to cut spending. But, as Campaign for Liberty Chairman Ron Paul pointed out this week, the debate in Washington is over whether government should grow by 3.5% or 5.2% per year. Meanwhile, most state legislators are debating whether or not to create Obamacare exchanges and Medicaid expansions, increase spending in other areas, and raise taxes including taxes on Internet commerce. Of course, many states believe that if they expand Obamacare they will get "free money" from DC, even though eventuality the Federal Government will pull back its support, leaving the American taxpayers with the bill. Meanwhile in Washington, the debate is over whether to spend $42 trillion or $48 trillion over the next ten years. Clearly government is out of control at all levels, which is why Campaign for Liberty continues to seek Real Cuts, Right Now. Our state and local leaders are also working to limit government at the state and local level. You can check here to see if there is a Campaign for Liberty group active in your area.